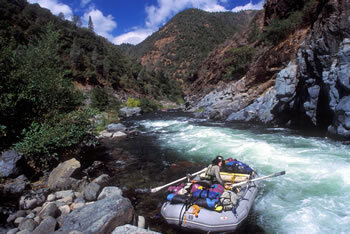 This book covers the state’s best runs, from easy Class II to thundering Class V. Experts and novices alike will find it full of indispensable information, including nearly fifty pages of maps and mile-by-mile guides to California’s finest rivers. This whitewater rafting book is written by Jim Cassady and Fryar Calhoun. Chuck Stanley and Lars Holbek, two of the country’s premier whitewater boaters, draw upon more than fifty years combined experience to describe 180 runs, many of which are in print here for the first time. The whitewater ranges from mildly challenging to downright hair-raising, and the descriptions are profusely illustrated with maps, photos and the unavoidable quota of whitewater lies.